Dancehall entertainer Alkaline and Black Shadow rolls out the official lyrics video for their “Black Heart” collaboration. The Vendetta deejay dropped the track last month and already amassed 1.5 million streams on the official audio. “Yo mi nuh know mi nuh know weh dem do to my heart / cyaa love nuh body sorry if mi sound dark / mi just a live….. mi just a walk….. just a guh tru if supn spark supn spark / my fault from inna the beginning mi should a ask / never know a man yuh did a look yuh should a talk,” Alkaline spits over the Dancehall riddim produced by Troyton Rami Music. 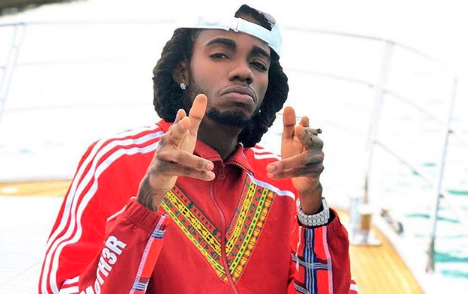 Alkaline is gearing up to drop his new album, sources close to the Vendetta deejay said the project is completed and could be released as early as next month. “Alkaline hasn’t release a lot of tracks this year but they were all bangers, the boss was working hard on his album and its now complete,” the source said. Stream Alkaline and Black Shadow Drops “Black Heart” Official Lyrics Video Below.